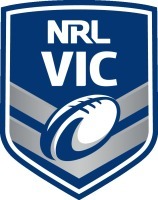 The 2011 Cournty of Origin was held on Saturday 17th September 2011 at Sullivans Reserve. The teams included: Samoa, Cook Islands, VIC Maori, Australia, American Samoa and New Zealand. The Cook Islanders were the 2011 Champions. Pictures from the 2011 Under 12's National Championships held at Fregon Reserve and Olympic Park.